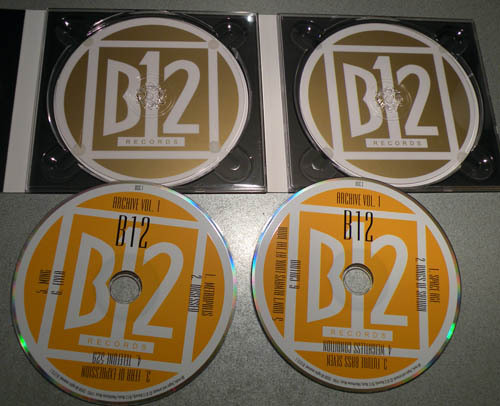 B1212 is a collection of every track from the B12 Archive from B1201 to B1211 plus 24 unreleased bound tracks from B12. 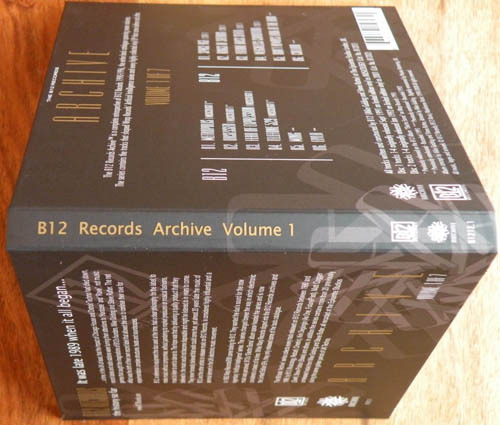 Volume 1 of this epic series collects the first 2 ultra rare releases on B12 Records, catalogue numbers B1201 (originally released on vinyl September 1991) and B1202 (January 1992). These two EPs were the first time we heard the Techno of Mike Golding and Steve Rutter, the clean, clear and complex music that contributed to this new era in UK Techno. CD 1 combines the first ever B12 release, the first Musicology EP, which includes the seminal �Telefone 529� and �Obsessed� (which were both included on the duo�s Warp album �Electro Soma� released two years later in 1993), with 2 Bonus Tracks extracted from the B12 Archives that have never been heard before. �Ming� and �Eliya� uphold every B12 tradition and maintain an unbelievable quality of sound and texture. 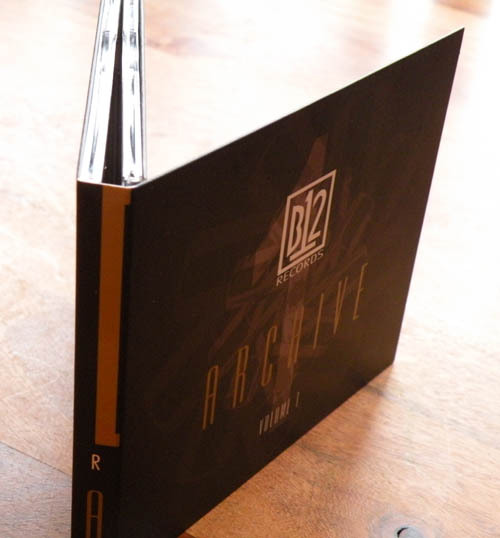 CD 2 is a continuation of the experimental techno that clearly defined the Chicago and Detroit influences while building and twisting the music into a unique and unforgettable UK sound. It was here that the duo�s obsession with outer space and futuristic time travel began, a journey that has only previously been experienced by a select few vinyl junkies, tracks that have never before been committed to the pure digital format they deserve. Also included on CD2 are another 2 Bonus Tracks, again previously unreleased and never been heard before. 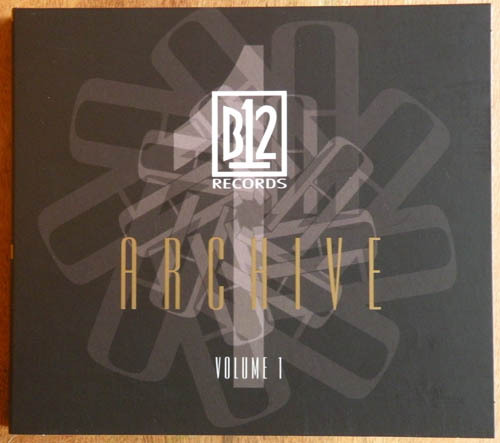 The B12 Records Archive� is a complete retrospective of B12 Records 1990-1996, the entire back catalogue spanning seven volumes. 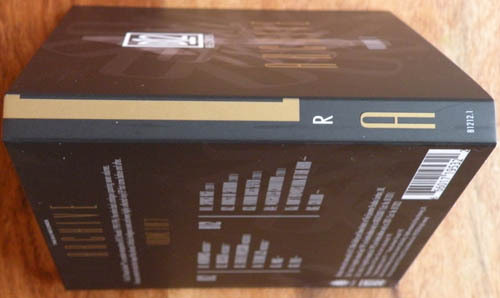 The series contains the tracks that shaped Warp Records� Artificial Intelligence series and every highly collected vinyl EP that came before and after. All tracks written and constructed by B12 (Mike Golding and Steve Rutter) at The Epicentre Studios London, UK. Album concept by Mike Golding and Steve Rutter, Artwork by Mike Golding. Digitally remastered by Precise Mastering, UK. All music, logos and artwork � B12 Records/B12 Music/Mainframe Music 1990-2008 All rights reserved.